I really enjoy listening to these, some books I'm familiar with, others not, and some great insights from the guests. Thanks Eamonn. Always delighted to get positive feedback, especially from the man with a two storey brain! Soar into the vacuum of space to clean up those Geeks with the VCs. 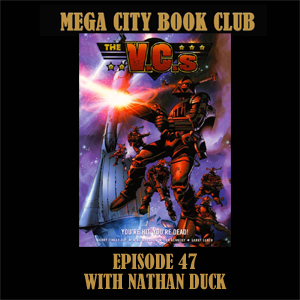 Nathan Duck makes a welcome return to the book club with some classic future war action from Finely-Day, MacManus, McMahon, Leach, Kennedy and Richardson. We also chat about some science fiction war novels. Not familiar with that cover and can't make detail at that resolution - is it by Gary Leach, or is that wishful thinking? 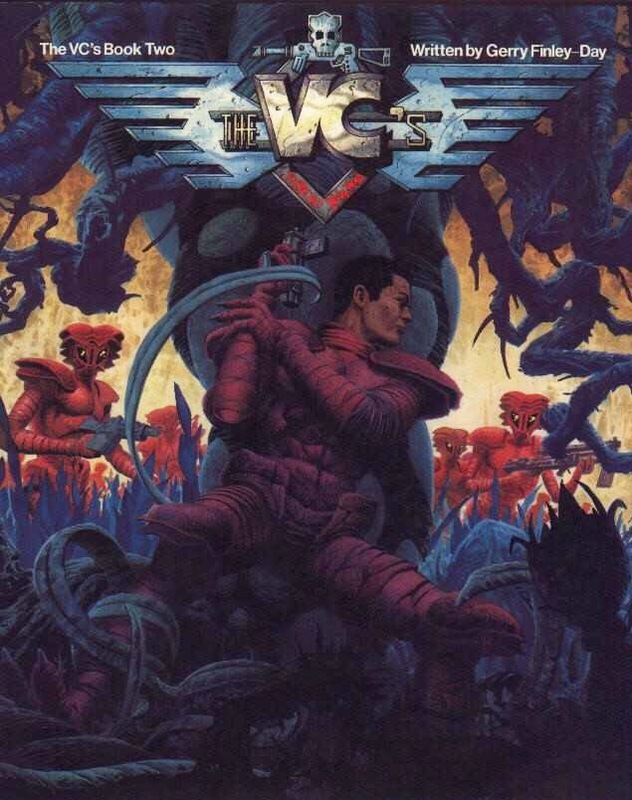 That’s the cover to the 2008 trade edition, cover by Cam Kennedy. Didn't Kennedy do the invasion cover too? I wonder if he was just commissioned to do a bunch of graphic novel covers at some point. At least he actually did work on the VCs! Yes, Cam did indeed do the Invasion trade cover. I quite like the VCs one but here comes some Garry Leach on Nathan's grail page, the cover of the second Titan collection. And next up will be not one, but two episodes about Fiends of the Eastern Front. Very excited for Fiends! It stands out so much from other stuff in 2000AD at the time. 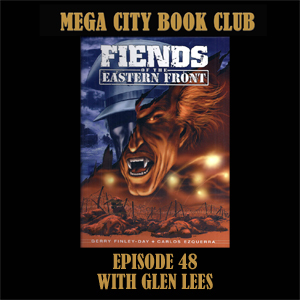 We start a months of pod-a-week episodes with Glen Lees back from Oz to tell us a spooky story from WWII as Gerry Finley-Day and King Carlos give us a perfect black and white gem from back in the day. And Glen's gorgeous grail page by King Carlos. Gave the Fiends episode a listen yesterday, great stuff. Going to have to read it again now *sigh*. Stakes and crosses? We only care about Iron Crosses! Love fiends! 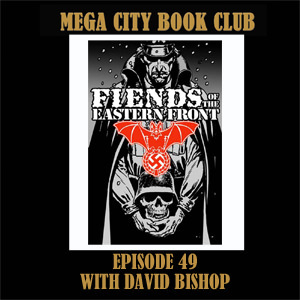 The pod a week action continues as the voice of Tharg himself, David Bishop, returns to the book club to talk more Fiends of the Eastern Front action. We discuss his four novels inspired by the series, the Stalingrad sequel he did with Colin MacNeil for the Megazine, and also his Kindle book about the history of Battle Picture Weekly. Cover art is a previously unpublished piece by the fang-tastic Chris Weston. 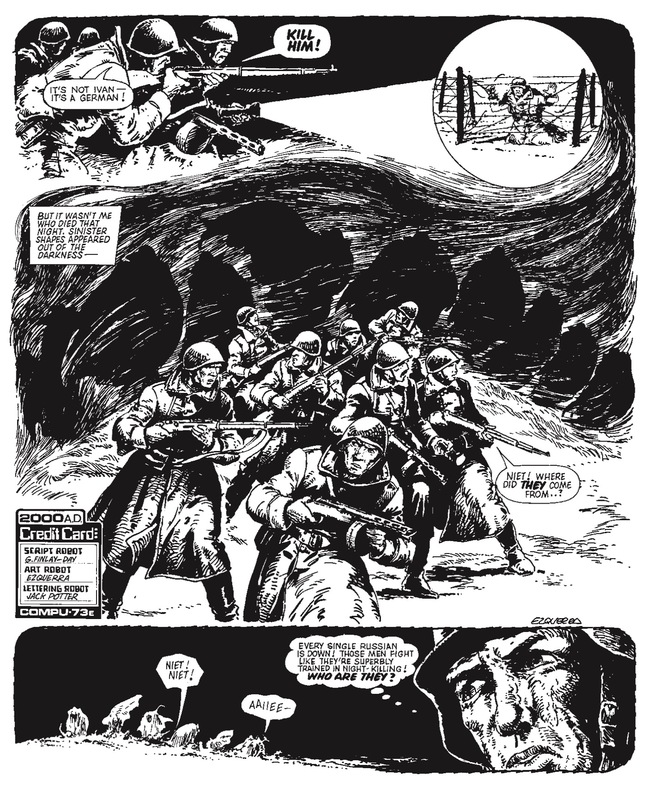 David’s Stalingrad grail page, the cover to Megazine 251 by Colin MacNeil. I recall I really enjoyed Bishops Fiends Novels, his comics version not so much for some reason.